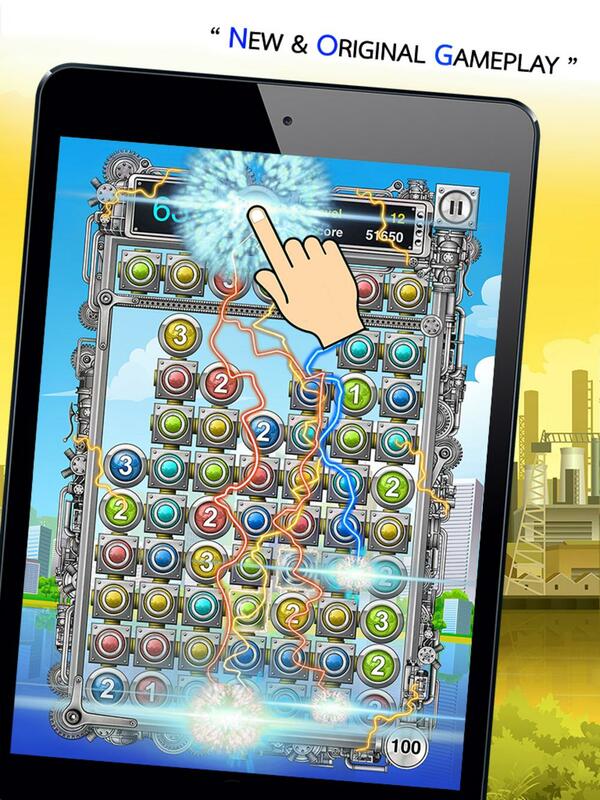 "Energy Panic" is an Award-Winning puzzle game with an original concept, fast-paced gameplay and stunning graphics. Your mission is to manage energy units to meet the energy demands. The rules are simple. There are two types of units, Energy unit and Demand unit. When a player connects the required number, or more, of the Energy units to a Demand unit (a numbered unit) of the same color, all the units will be destroyed. A player can combine four Energy units of the same color to create a Fusion Energy unit. This unit can destroy all the units around it when it comes in contact with any Demand unit of the same color. A player can also collect and use an Energy Blast to destroy units of a particular color on the board.